The Roxburgh Ci Balanced Fund of Funds is a multi-asset medium equity portfolio. The investment objective of the portfolio is to provide investors with moderate capital growth. The portfolio will have an equity exposure of a maximum of 60% of the portfolio’s net asset value. The composition of the portfolio shall reflect the investment structure of a fund with a moderate risk profile and will comply with prudential investment guidelines to the extent allowed by the Act. Investments to be included in the portfolio will, apart from assets in liquid form, consist solely of participatory interests in portfolios of collective investment schemes or other similar collective investment schemes registered in the Republic of South Africa or of participatory interests in collective investment schemes or other similar schemes operated in territories with a regulatory environment which is to the satisfaction of the Manager and the Trustee of a sufficient standard to provide investor protection which is at least equivalent to that in South Africa. The Roxburgh Ci Balanced Plus Fund of Funds is a multi-asset high equity portfolio. The investment objective of the portfolio is to long term capital growth. The portfolio will have an equity exposure of a maximum of 75% of the portfolio’s net asset value. The composition of the portfolio shall reflect the investment structure of a fund with a high risk profile and will comply with prudential investment guidelines to the extent allowed by the Act. 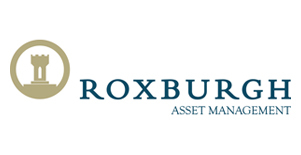 The Roxburgh Ci Conservative Fund of Funds is a multi-asset low equity portfolio. The investment objective of the portfolio is to provide investors with income and conservative capital growth with a focus on capital preservation. The portfolio will have an equity exposure of a maximum of 40% of the portfolio’s net asset value. The composition of the portfolio shall reflect the investment structure of a fund with a low risk profile and will comply with prudential investment guidelines to the extent allowed by the Act.